To write The Language of Flowers, Vanessa Diffenbaugh found inspiration in her own experience as a foster mother. After studying creative writing and education at Stanford University, Vanessa taught art and writing to youth in low-income communities. She and her husband, PK, have three children and live in Cambridge, Massachusetts. This is her first novel. 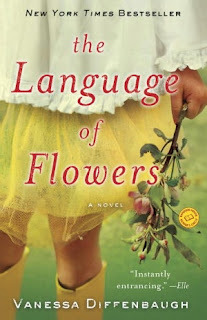 The LANGUAGE of FLOWERS by Vanessa Diffenbaugh resonates with the reader. This novel reaches deep into your heart and opens a special section just for Victoria, the protagonist and her flowers. This lush section, like a Monet painting, opens a market of colorful, glorious flowers in your mind’s eye. The vision settles in quietly and becomes part of you. The reader, like the main character Victoria, blossoms and grows with her, quite like a tiny pink flower breaking through cracked concrete on a dirty city street. A rooted bond forms between the reader, the characters, and the flowers that remains long after the last page is read. The reader is gifted with the language of flowers. Victoria is damaged, forgotten, and rejected. She is an abandoned child, left for institutions and foster homes to nurture. She quickly masters the art of seclusion, introversion, and violence early, and preys upon innocent victims with spurts of physical violence, disrespectful words, and bouts of anger. She practices pushing people away, giving them the worst before they would ever know her best. She prides herself on her ability to maintain distance from others. Her only interest is in flowers. Diffenbaugh gives Victoria a voice through the flowers, it is not juvenile or superficial. She writes with such power that the reader feels the agony of isolation with her. The first person narrative is compelling and intelligent. This is not a classic coming of age story, a girl gone bad becomes good story… this is a raw and thought provoking look inside the dark mind of a recluse, a social outcast, a genius. The reader looks in through a grimy window into the sheltered soul of a broken heart. Diffenbaugh puts back the pieces, preparing the soil, working the landscape, and effectively beginning a garden of insight. In the novel, Victoria’s passion for flowers and their meanings is ignited and cultivated by a foster/adoptive parent, a single woman who is also reclusive and matchless. The flowers are for them a way of life, a mode of communication, a vehicle for expressing human emotions and maintaining connection to the past long abandoned and unstable. The flowers become a vehicle hopeful for a different future. The characters connect fluidly amongst a myriad of plants. In Victoria’s world, the flowers are a foundation. As the relationships between Victoria and the other characters in the novel deepen and develop, the flowers and their meanings are revealed, each with a specific purpose. Each flower tenderly noticed and pruned, defined and protected. Victoria observes each flower as a masterpiece, unique, influential and timeless. What I treasure most about this novel is how Diffenbaugh cultivates the reader, as a tender shoot needing time and encouragement to bloom. I am neither a botanist, nor a horticulturist, yet from the first page of the novel, I too am driven to understand Victoria, and be a part of her world. I love flowers, and have always appreciated their beauty and fragrance, and yet they were never as special to me as they are now, because of THE LANGUAGE OF FLOWERS. The amazing thing about this novel is the journey in and around the heart, the heartache of loneliness and the triumph of humanity that is conveyed through careful insights and tender language. To me, only a person with extraordinary sensitivity and insight can evoke compassion from the reader. The reader, like the weather man, often tries to predict the path of this wonderfully damaged girl, yet Diffenbaugh surprises the reader with the foolishness of predictions, and leaves me wanting more, curious, and hopeful. I am typically skeptical of seemingly romanticized stories of broken people finding a passion and filling the void, but this novel sets a new standard. This novel is alive with interpretations of humanity, descriptions of loneliness, and the emptiness the world offers one without passion. Diffenbaugh creates unforgettable characters that live in a world that is apart from one I know. Because of her gift for language and research, the flowers take on a life that reaches beyond what I would have imagined I would be left with at the novel’s end. This is a one of a kind read, a gift to the reader, and an amazing tribute to struggle, perseverance, passion, and flowers. Just like you, I thought this book was wonderful! 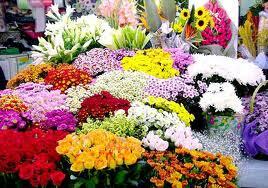 I think that flowers is the boons for human being to make someone pleasure by offering.